Eva Mae McDougald was united in holy matrimony to the late Charles Lesley McDougald. To this union three children were born; Charles, Brad and Crystal. She was a devoted mother, grandmother, and sister. She attended Shawtown High School in Harnett County, NC. She attended Johnson Community College where she received her CNA and Cosmetology Licenses. She worked as a Beautician and opened her own shop “Designer’s Touch Beauty Salon” in Dunn, NC in April of 1981. 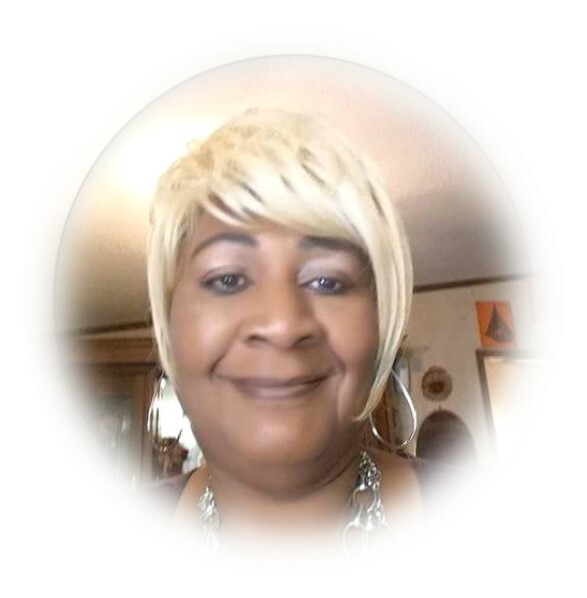 She was a member of Merciful Hand Ministries under the leadership of Pastor Archie Ray, in Dunn, NC, where she served as a mother of the church. She was a great cook and loved to entertain. She would often feed the neighborhood children and was known as the neighborhood mom. One September 16, 2018 God whispered her name, and when she answered, she was released from her earthy labor to receive her Heavenly reward. She is proceeded in death by her parents, four sisters; Josephine Ray Smith, Mary Magdalene Ray Chance, Mildred Ray McLean, Adell Frederick, five brothers; George Collie Ray, Alexander Ray, Charlie Frederick Jr., John Wesley Frederick, and Willie Leon Frederick. We do not mourn as those without hope, for we shall see her again. To celebrate her life, she leaves to cherish fond memories two sons: Charles Reginald “Red” McDougald and girlfriend, Shena McKeithan, of Erwin, NC, Brad Sinclair McDougald and girlfriend Tammy Locklear, of Coats, NC, one Daughter, Crystal Fuller of Eastover, NC; fifteen grandchildren; Jeremy Shaw, Brandon Shaw, Brittany McLean, Charles Reginald McDougald Jr., Malik McDougald, Tyquon Sallee, Marcus Locklear, Jaylen McDougald, Er’Mon McDougald, Kaylie Pettis, Brad McDougald, Chasity Briana McDougald, Derrell McKethan, Janayah McKethan, eight great children, four Brothers, Ed Willie Frederick of Wilmington, NC, Henry Frederick of Lillington, NC, Robert Lee Frederick of Lillington, NC, Charles “Sippy” Toy of Belzoni Mississippi, Three sisters: Minnie Ray Johnson of Baltimore, MD, Pearline Frederick Mitchell of Baltimore, MD, and Mary Frederick of Dunn, NC. A special friend Tammy Williams. Special children: Pastor George Lamont McAllister, Billy Strickland, Donald Strickland, and Belinda Strickland. A very special cousin Desi L. Campbell. Two special nieces; Beonka Frederick and Jalisa Amerson and nephew Ronnie L. Frederick. A special great nephew; Avery Frederick. A host of special children, nieces, nephews, relatives and friends. A Funeral Service will be held Saturday, September 22nd at McLean Chapel beginning at 3 pm. Burial will follow the service at Norrington Cemetery. The family will receive friends Friday, September 21st at O’Quinn-Peebles-Phillips Funeral Home from 6:00—8:00 pm.